The rate of progression depends on the underlying causes. The duration of history helps establish the cause of dementia; Alzheimer’s disease is slowly progressive over years, whereas encephalitis may be rapid over weeks. Dementia due to cerebrovascular disease appears to occur “stroke by stroke”. As a rule, all types of dementia display a tendency to be accelerated by any changes in the environment, intercurrent infections or surgical procedures. Alzheimer’s disease is one of the most common consequences of dementia, which can be established during life by the early memory failure and slow progression. Unfortunately, no effective treatment is known. Metabolic dementia can be caused by excessive alcohol consumption or chronic subdural haematoma. Improving the quality of life, there is some evidence that the herbal remedy can delay the progression of dementia and that long-term use of vitamin E may reduce the chances of developing dementia in old age. However, more research is needed. 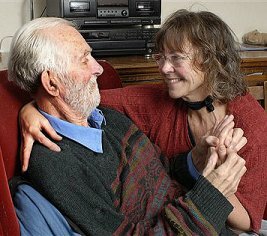 There are several psychological techniques to help people cope with dementia, these include reality orientation, which involves regularly reminding patience of information such as the day, date, season and where they are. Since the memory of distant events is rarely impaired, reminiscence therapy which encourages people to talk about the past, may also help by bringing past experience into consciousness. Aromatherapy and art or music therapies are also thought to be beneficial, though there is no scientific evidence to support this. Dementia is associated with memory loss or loss of mental abilities usually combined with evidence of more widespread disordered cognitive function (problems with memory, language, behavior and emotions). It is common for elderly and those people over 65. It is a symptom of disease rather than a single disease entity. 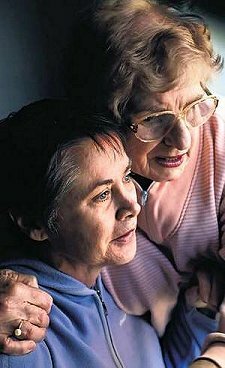 When occurring under the age of 65, it is labeled “presenile” dementia. This is due to cerebrovascular disease occurring “stroke by stroke”. All types of dementia show a tendency to be accelerated by changes of the environment, intercurrent infection or surgical procedures. Dementia recognized as a major public health problem as it affects million people, and the number is expected to rise. a. Primary dementias are diseases that directly attack brain tissue and cause the behaviors associated with dementia. It is irreversible and they can only be treated symptomatically and can not be cured. The common is Alzheimer’s disease and classified including Parkinson’s disease and Huntington’s disease. b. Secondary dementia or pseudodementia refers to disease that do not directly attack brain tissue but result in symptoms described as characteristic of dementia. It may result with diabetic ketoacidosis, drug intoxication, severe nutritional imbalance, severe infection and depression. Most prominent symptoms of dementia are cognitive dysfunction including in memory, learning, attention, judgment, orientation and language skills. All patients experience a steady decline in cognitive and physical abilities. On the last stages of this disease patients are unable to communicate, are incontinent and may be unable to walk. People with dementia often suffer from severe memory loss, especially linked to more recent events. In the early stages they misplace objects or tend to forget what they were planning to do. Problems are connected with finding the correct words, concentration, learning new ideas or skills, etc. Psychological problems such as irritability, saying or doing inappropriate things and becoming depressed, paranoid or aggressive can take place, as well as severe mental and physical problems including loss of speech, immobility and incontinence.